When fortune — or in my case, fortune cookie — speaks, I surely listen. So, here is some purple ink. 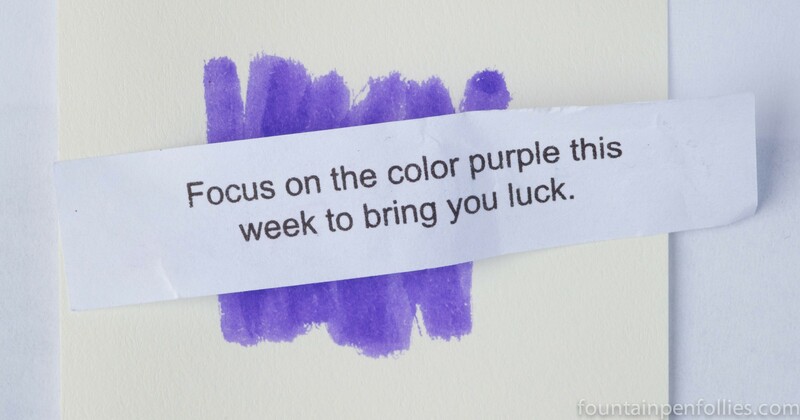 I hope it brings us all luck. I don’t think I’ve ever gotten Poussière de Lune to shade! I need to try it in other pens 🙂 Edelstein Amethyst is incredible – gorgeous with fine as well as broad nibs, that’s pretty rare!